Designed to provide golfers of all levels with a variety of distance and performance characteristics to help you enjoy the game of golf to the fullest. 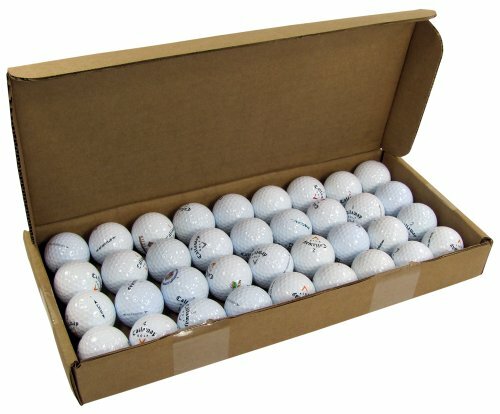 With a longstanding reputation for providing superior quality products at a supreme value you will be sure to find a Callaway golf ball that suits your needs. Warbirds, HX Hot, HX Hot Plus are some of the balls you may find in your Callaway assortment. GRADE B! These balls did not pass our strict guidelines for our Grade A but they are still 100% playable and are in good condition. 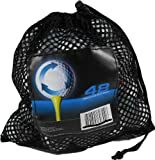 Grade B balls may have the following: Some balls may have a slight cosmetic abrasion or discoloration that will not alter the flight path, distance or trajectory of the ball. May include team or corporate logos and/or larger player pen markings. May include imprints of 'X-Outs' or 'Practice' on the balls. Disclaimer: Used & recycled balls are subject to performance variations from new ones. Used & recycled balls are not endorsed by the original manufacturer and the balls do not fall under the original manufacturer's warranty.